Borglum biography in PBS' 'American Experience' series. Sketch of the abortive Stone Mountain project. 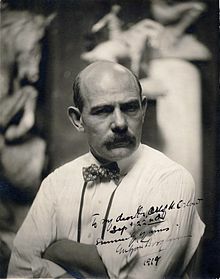 Exhibition narrative, 'Out of Rushmore's Shadow: The Artistic Development of Gutzon Borglum' Stamford, Connecticut Museum,1999/2000.